Palais de la Méditerranée, a charming hotel ideally located on the Promenade des Anglais and close to the city centre, is a beautiful sight. The palace’s white Art Deco façade built in the years 1930 was restored in 2004 to its original beauty. By admiring its elegant silhouette, you will already have a first impression of the fascinating prestige that emanates from our hotel and which contributes to its legendary history. Monument of Nice, conveniently located between the Alps and the Mediterranean Sea, at the crossroads of Monaco and Cannes, Palais de la Méditerranée offers you the prestige and affluence of a luxury resort whose reputation is firmly established. During your stay at our palace in Nice, you will enjoy many delicious moments of culinary tasting, starting with breakfast, lunch, tea time, the tapas aperitif, and ending with the bistro-chic dinner. 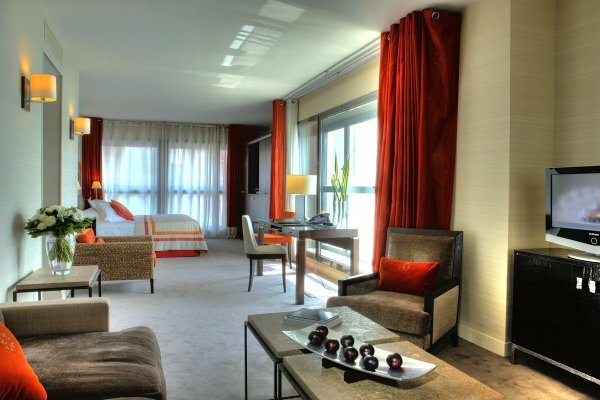 Our luxury hotel is THE trendy destination on the Promenade des Anglais. You will find on the third floor of Palais de la Méditerranée, a spacious hotel fitness club with everything you need to keep yourself in shape and to exercise. The equipment of your gym is at your disposal for any kind of exercises, whether you wish to get your silhouette slimmer or tone up your body. The fitness centre of your palace is also equipped with state-of-the-art machines for strength training, cardio, jogging corner, stretching and to limber up, as well as for toning and for weight loss. We invite you for a journey through your deepest senses at the hammam and sauna at the 4th floor of our luxury hotel in Nice. 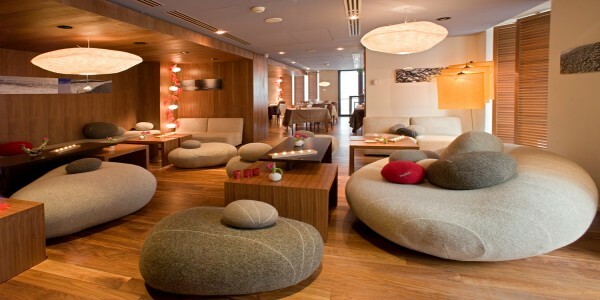 What could be more restful than a long stay inside our centre dedicated to relaxation and wellness? Let yourself unwind from a long day in the warmth of a Turkish bath and let the memories of your visit on the Côte d’Azur slowly take you to a delicious state of total relaxation. Your body and mind will come out purified. Looking for a massage in Nice? Palais de la Méditerranée also has a beauty centre where our team of professionals will give you body and skincare. You will discover there all of the benefits of the products by Annick Goutal. Let yourself be lulled into a complete state of relaxation, making the most of the expertise in facial and body care offered by our team of beauticians and masseurs. 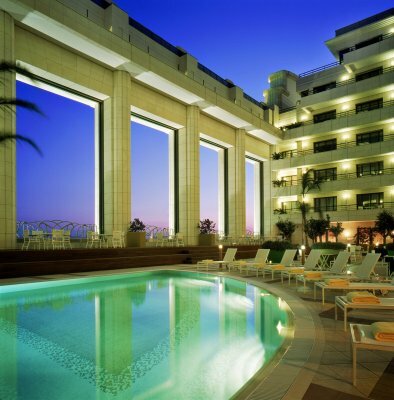 The splendid outdoor pool of our luxury hotel is also what makes our pride and joy in Nice and beyond. If you prefer the smoothness of a warm indoor pool to the freshness of the sea or our outdoor pool, we invite you to dive with pleasure into our covered pool during your stay with us on the Côte d’Azur. You will admire the beauty of the Bay of Angels while enjoying the comfort of our indoor basin. The casino of Palais de la Méditerranée is one of the original curiosities at this prestigious palace on the Côte d’Azur. For your enjoyment, there are numerous slot machines, black-jack and other table games available in this mythical setting. True to the reputation of luxury and beauty of this five-star hotel, the casino includes two beautiful rooms that among the most spacious in Nice, where shows and concerts are regularly held. The Venitian salon can host up to 1040 people and is the ideal location for your business and private events like gala evenings, concerts and other shows. 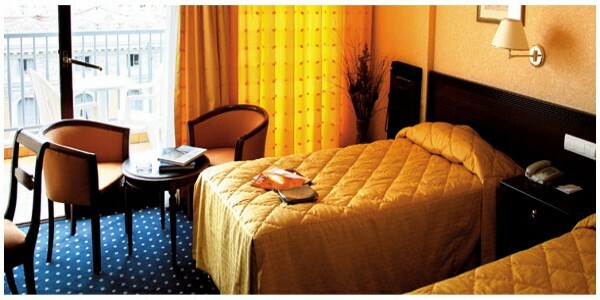 Opposite to the Salon Venitien, you will find the splendid Salon Azur. This well laid-out room offers a splendid light and a unique view of the Mediterranean Sea. 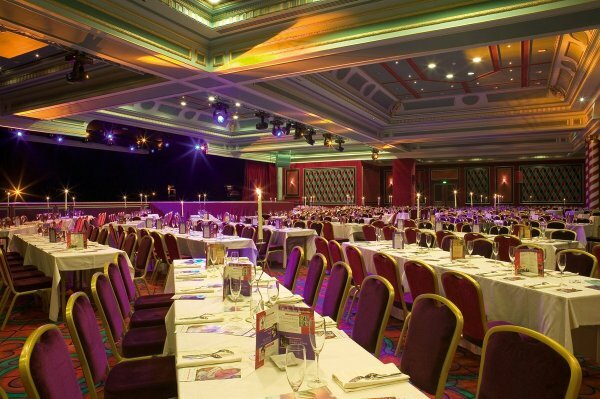 The old-style gala evenings regularly organised in those rooms of the casino allow the guests to have a good impression of the atmosphere of the hotel in the years 1930. 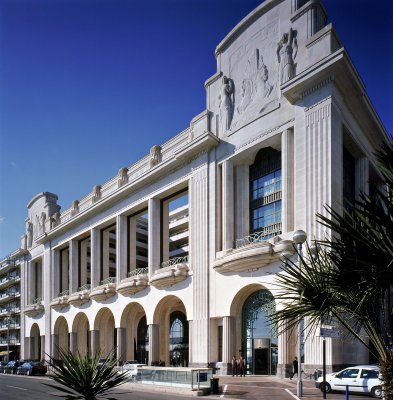 Palais de la Méditerranée is the ideal location in Nice for organising your business seminars, international conferences and prestigious events. The superb setting of our charming hotel will perfectly suit your dream wedding on the Côte d’Azur. Located in the heart of the Mediterranean region, offering a remarkable view of the sea, our hotel casino has seven rooms entirely equipped which offer an unlimited choice of sizes, arrangements and use. All rooms have an A/C system, are soundproof and benefit, in most cases, of natural light. We can also provide you with all necessary equipment to ensure that your event is a success. You have at your disposal an unlimited free WiFi connection, a must-have for your events at the casino of Nice. This is the smallest meeting room and is ideal for board meetings and smaller gatherings. 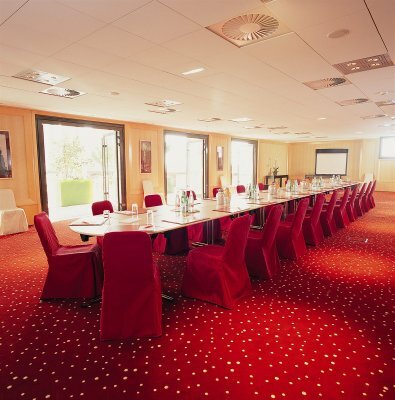 16 people can be accommodated in boardroom style, 53 in theatre style and up to 32 in a banquet setting. This attractive room is filled with natural light and is situated on the hotel’s magnificent 3rd floor. Equipped with the latest technology, this room has a large screen and both ADSL and WiFi Internet connections. The hotel offers two Breakout rooms, all situated on the 4th floor of the hotel. Each room has a small balcony, affording stunning sea views or views of the city, on which to take a coffee break before resuming proceedings. Equipped with WiFi and ADSL Internet connections and high-tech plasma TV screens, these rooms are suited to meet all business requirements and ensure a successful meeting. 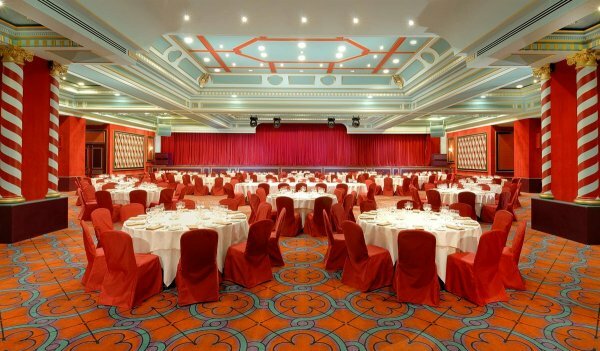 Madisson is the largest single room outside the Casino and is perfect for bigger gatherings, including wedding parties and a variety of business and entertainment purposes. Tailored to meet any event it can comfortably fit up to 168 people at table, banquet style, and up to 160 standing for cocktails. Through the wide bay windows, is the terrace, which can be combined with the Madisson room to create an extensive space, for outdoor events and larger parties. Cotton Club is the largest meeting room apart from the Casino. It is a combination of Paso Doble, Charleston and Fox Trot, which can also be used individually, and is suitable for 219 people seated in classroom style or up to 300 in a cocktail party setting. Cotton Club is the perfect location for the larger business meeting, seminar or hospitality function. The latest technology includes an integrated video projector and DVD player, and several wall-mounted plasma screens to facilitate larger events and ensure that all meeting guests are able to follow proceedings easily. 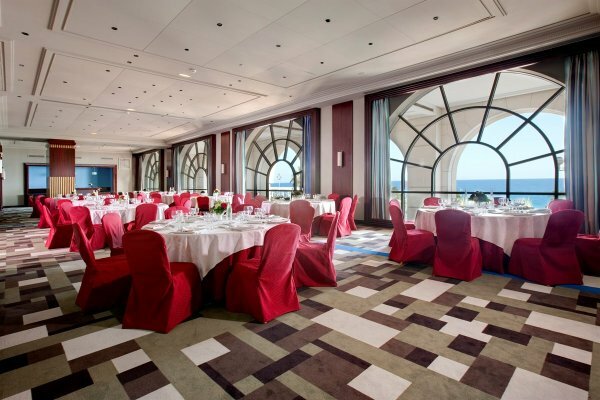 Located on the first floor of the Casino, this multifunction space offers a large panoramic view on the Promenade des Anglais and the Sea, making it one of the most attractive spaces available in Nice. It offers multiple set up styles catering for clients looking to have their marriage party, bar mitzvah’s, cocktail receptions, dinners, showroom and many other events. The 188 guest rooms, including 12 gorgeous suites at Palais de la Mediterranee are situated on the top six floors of the hotel. Most enjoy balconies with views over the sea and the surrounding city. 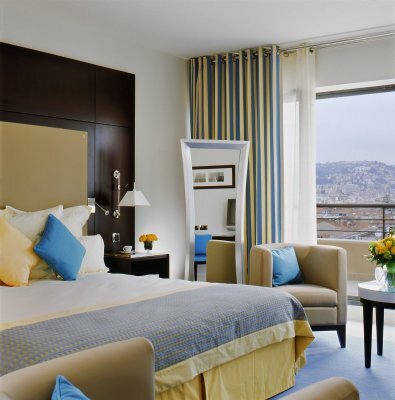 The palette is soft ochre, blue and saffron and the furnishings are uniquely designed for the hotel and chosen by Sybille de Margerie of SM design (Hotel de Crillon Paris, La Palme d’Or Cannes). The Palais de la Mediterranée has 134 Superior rooms, 41 of which include a terrace with a partial view of the sea and a magnificent panorama of the coastline. The decor of the designer rooms mixes shades of blue, ochre and saffron, recalling the landscapes of the Mediterranean shores and the French Riviera. Contemporary furnishings combine wenge and sycamore wood to give these luxurious rooms a delicate harmony. 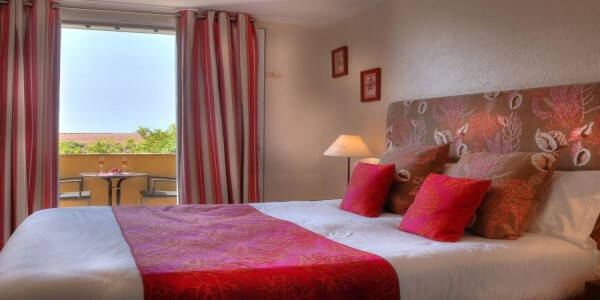 The hotel also has ten adjoining rooms with views of Nice. There are twin or double, and smoking or non smoking rooms available. These 29 spacious, luxurious rooms with breathtaking panoramic views from their private terraces overlooking the sea offer supreme comfort for both leisure and business travellers. Recently renovated, the clean, modern lines of the furnishings, the soft leather and silky fabrics, blend into the skyline, bringing a timeless, sophisticated style to these rooms facing the sea in one of the most beautiful parts of Nice. A colour scheme of beige, taupe and chestnut combined with a few bold touches of wine, amber, green and orange create a very contemporary feel. Free WiFi and broadband Internet in the office part of every room. These spacious 45 m² rooms in our hotel on the seafront offer stunning views of the Mediterranean or the town from your private terrace. Large windows fill the rooms with Nice’s beautiful natural light. All of these spectacular, bright, spacious rooms have been recently renovated and carefully furnished to create a refined, luxurious atmosphere. The fabrics for the armchairs were chosen for their superb aesthetic quality and comfort. In the evening, subtle lighting brings softness to the room’s night-time atmosphere. 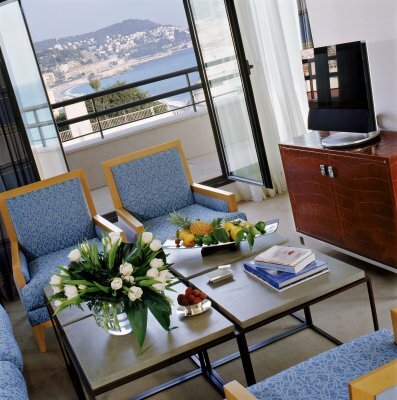 The Palais de la Mediterranée’s 5 junior suites and 9 suites offer a truly exceptional environment. They all have a splendid terrace. The large living rooms and dressing rooms create a wonderfully spacious, luxurious atmosphere… The feeling of well-being that emanates from these suites owes much to their decoration by Sybille de Margerie. The harmony of the fabrics that have been selected create warmth and intimacy while the contemporary works of art give each suite a unique personality. In the living room, touches such as the library filled with books or a vase of flowers are sure to make any guest feel at home. But one look through the window, at the magnificent view of the big blue, provides an instant reminder that you are in the Palais de la Mediterranée! 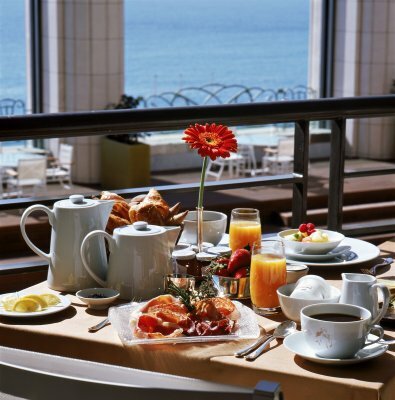 You will spend delicious moments when dining at Palais de la Méditerranée, a five-star palace towering over the beach of Nice and close by the city centre of the capital of the Côte d’Azur. On the third floor of our casino hotel, discover a superb seaside gourmet restaurant where you will taste our famous Chef’s inventive dishes. 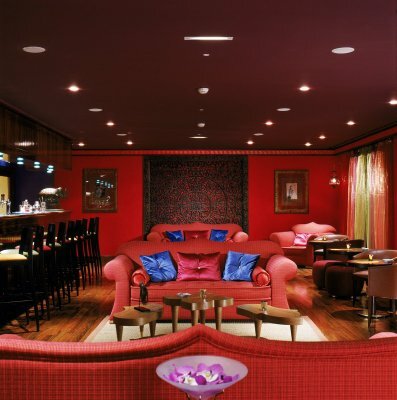 On the same floor, the bar-lounge with its cosy yet elegant setting is an invitation to relax. 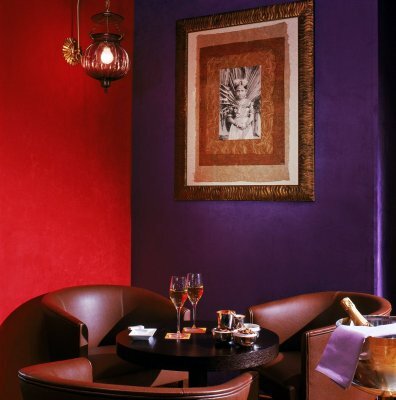 You are more than welcome to come here and unwind after your day out on the Côte d’Azur. A charming time in Nice also requires for you to taste the unique cuisine of its chefs. 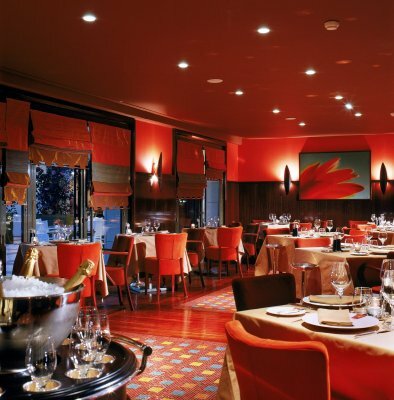 The luxury gourmet restaurant located on the third floor of the Palais de la Méditerranée is known for the dishes of its famous chef, Sébastien Vesse. The atmosphere of our superb restaurant combines a French Bistrot’s friendliness to the refinement of a well-known gourmet restaurant. This elegant restaurant which is the pride of our five-star hotel proposes a menu of original and delicate recipes which will flatter your palate. Seasonal products and local cuisine are at the centre of our interests. Our establishment of French haute cuisine is located on the third floor of our luxury hotel, within walking distance of the Old Nice and right next to the city centre. Our seaside restaurant is the ideal place to dine quickly in a superb setting, pet friendly, sitting on a terrace that offers a panoramic view of the Mediterranean Sea. At lunchtime on weekdays, you can try our Express menu: main dish and a glass of wine (or 1/2 mineral water) at 21€. In the evening, for 42€ you can enjoy a more elaborated « bistro chic » menu. You will surely hesitate between our Spanish sea bram with its braised fennel and saffron and the seasonal vegetables and fruits tagine… Indulge yourself to the refined Mediterranean cuisine of the most beautiful restaurant of Nice. 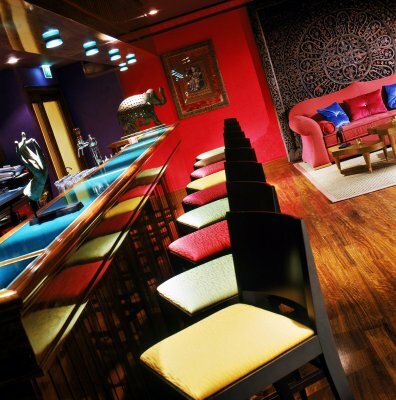 Our bar lounge, on the third floor of our luxury hotel, will make you spend wonderful moments. Come and join us for a cocktail or to try our tapas selection. On the same floor, our gourmet restaurant offers you to relax on a seaside terrace and enjoy the superb panoramic view over the Mediterranean Sea. A pianist regularly charms the evenings with his beautiful music, inviting you to sit back and enjoy the relaxing atmosphere of our warm salon. Our barman will propose personalized and creative cocktails for you to enjoy. Daily from 10:00 am to 12:00 midnight.